Consumers who usually blow off tips from their utility company are suddenly paying close attention. Simple ways to cut down on your heating bill, other than turning down the thermostat and wrapping yourself in a Mylar blanket: Make sure storm windows are shut tight and use plastic film to further insulate windows. Replace worn weatherstripping around doors and windows. Shut off the heat in rooms you don’t use very often. Seal up any spot in the house that seems to be causing a draft. And close the flue in your fireplace, if you have one. Some homeowners are exploring more-efficient ways to heat their homes, such as using a wood-pellet stove to supplement the normal heating system and perhaps lower the overall cost, or replacing an old furnace with newer, more-efficient equipment. The cold snap could clip the economy more if it persists into spring, since by then many people will have exhausted any extra money put aside for winter expenses. “Where bad winter weather has an impact on consumers is at the bookends of the season,” says Christopher. Local officials have pledged to help if necessary, and Wisconsin Gov. 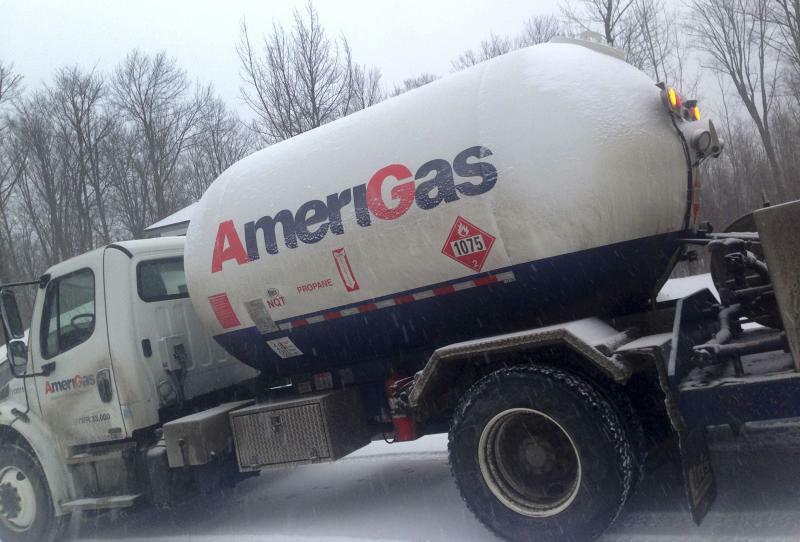 Scott Walker recently declared a state of emergency to deal with the propane shortage. Still, Spaulding keeps the heat as low as 55 and does other things to conserve the propane left in his tank. Whether it affects your bank account or not, the winter chill seems inescapable. Rick Newman’s latest book is Rebounders: How Winners Pivot From Setback To Success . Follow him on Twitter: @rickjnewman.